Australia’s carbon tax has been repealed leaving the nation’s climate policy in a vacuum with no concrete alternative. Australia’s Coalition Government has begun celebrating the repeal of carbon tax which was voted down in a Senate marathon on Thursday. It is a landmark victory for Prime Minister Tony Abbott since he assumed office last year. From day one, he wanted to abolish clean energy legislations which the previous Labor Government had enacted. The Clean Energy Legislation (Carbon Tax Repeal) Bill 2013 [No. 2] was voted down last week, July 10, after crossbench senators under the Palmer United Party (PUP) joined the opposition block. But Abbott was relentless over the weekend. He worked with PUP leader Clive Palmer to sort out a last minute amendment. The repeal bill was defeated in both houses of the Parliament since Abbott introduced the proposed legislation. Last week, the bill reached a double dissolution trigger, but Abbott was determined to quash the tax once and for all. On Monday, the Senate resumed deliberations and in the final vote on Thursday, the senators from the PUP backflipped as expected. They voted for the repeal, along with Motoring Enthusiast Senator Ricky Muir, Family First Senator Bob Day, Liberal Democrat David Leyonhjelm and Democratic Labour Party Senator John Madigan. Labor and the Greens voted against. The jubilant prime minister reiterated the tax is a big obstacle to businesses and a hand brake to the national economy. “We are honouring our commitments to you and building a strong and prosperous economy for a safe and secure Australia,” he enthused. He said it would save the average family $550 a year and the first benefits would be seen in coming power bills although oppositions and observers said the savings is unclear and without consensus. While Abbott is celebrating, Greens Leader Christine Milne condemned the government and crossbench senators for “the legacy of their political career”. Milne declared the vote a “failure” that would see Australia a “global pariah” and” backwater” going against the flow while other countries marched towards pricing carbon and stronger action on climate change. Labor senator Lisa Singh said with one vote, Australia had moved backwards and it “will today be a laughing stock to the rest of the world”. Grassroots declare Thrusday as the black day for the planet. They said Australia is the first country in the world to repeal a carbon tax, with no clear carbon emissions plan being put in place. Greens and grassroots stormed Twitter to vent their anger over the carbon tax dumping. GetUp is now galvanising a campaign that would be ”the largest open letter in Australia’s history” condemning Australian government’s inaction on climate change. The group has already gathered more than 73,600 signatures as of noon time on Thursday. Rallies are already being scheduled on important dates when governments around the world meet to tackle climate change, including a United Nations meeting in New York this coming September, G20 summit in Brisbane in November, and Conference of Parties in Paris next year. Today our government failed us. The senate just voted to repeal our working price on carbon pollution. You, with Australia’s leading scientists, economists, health experts, firefighters and ambulance workers fought loud and clear to keep our climate safe. But the senate didn’t listen to us. Instead they chose to listen to big polluters and abolish our carbon price. Now is the time to show Australia that while the government voted against climate action, we won’t give up. In Bono’s words “The power of the people is greater than the people in power”. Sea Shepherd ships, The Steve Irwin and The Sam Simon will depart Williamstown on Monday 16th December. The crew of 100 from 24 nations are ready to confront the Japanese whale poachers and halt their planned illegal slaughter of more than a 1,000 whales. The proposed kill includes 935 protected Minke, 50 endangered Fin and 50 Humpback Whales. We have invited all of our supporters to come down to see the ships and crew head off on this critical mission to defend the great whales of the Southern Ocean. When: Monday 16th of December. 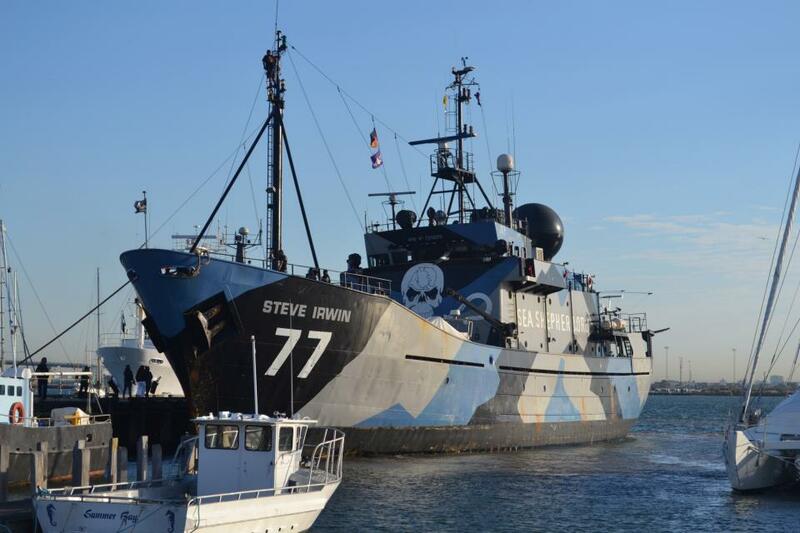 Press Conference at 9am (The Sam Simon will depart at 5:30am and The Steve Irwin at 12pm). Where: Sea Shepherd Australia Operations Base – Seaworks, 2 Ann Street, Williamstown, Victoria. As the UNFCCC Conference of Parties 19 (COP 19) wraps up in Warsaw, Poland, close to a thousand activists have walked out , grossly disappointed with the results. The rift between rich and poor nations intensified with no major compromise on key issues. Many developed countries turned their backs from their commitments, including emission caps and funding mechanisms. Oxfam International, joined by more than a dozen of civic international groups, released a statement saying the Warsaw Conference saw participants with conflicting interests. More notably, the interests of dirty energy industries were more visible than that of global citizens – with a “Coal & Climate Summit” being held in conjunction. It said corporate sponsorship from big-time polluters could be seen everywhere and that the Poland Presidency that is beholden to the coal and fracking industry. Members of civil society movements walk out out of the U.N. talks on global warming held at the National Stadium in Warsaw, Poland on Thursday. Pic: AP. From day one, Australia showed no interest to take part in the climate event; it did not send a minister representative. The Tony Abbott coalition government instead prioritised the repeal the carbon tax at its first parliamentary session. As the Warsaw Conference ends, the carbon tax repeal has already passed the Lower House, although it is still to go before the Senate. The Climate Action Tracker (CAT) gave Australia a high ranking for creating the framework for strong action when it introduced the carbon tax in 2011. The CAT saw the new climate legislation as a historic breakthrough for the nation – putting a price on greenhouse gas emissions ranks alongside any of the “big” reforms of the past 30 years. The CAT said the study is the first of a series of independent, science-based country assessments looking at each country’s international climate change action, comparing it to its pledge and to what’s needed to keep global warming to below 2°C (and 1.5°C, as called for by the most vulnerable countries). In Doha last year, Australia made a non-binding pledge to reduce emissions by 5% on 2000 levels by 2020, irrespective of international action, and said it will reduce emission levels by 15-25% from 2000 levels by 2020 if other countries make significant commitments. Greg Combet, then Minister for Climate Change and Energy Efficiency, told delegates at CarbonExpo in Melbourne on November 9, 2012 that Australia would sign on to a second commitment period under the Kyoto Protocol with specific conditions. Most Australian economists agree that the country cannot achieve its voluntary target of reducing emissions by 5 per cent by 2020 without industry paying a price on carbon. Under the new Abbott Government, however, the CAT ranked Australia’s climate change efforts as inadequate. The CAT said repealing the carbon tax would dismantle most of the present policy framework, including present fixed carbon prices and the cap-and-trade system put in place in 2011. Australian Coalition Government at present does not have the majority in the Senate for repeal and will not do so until at least July 2014, after which time it will need to be negotiated with minor Parties to achieve this. However, the Government has insisted that it will call a fresh general election should the Senate not support repeal. Given this situation, it is clear that the present assessment may not stand, given the significant chance that present policies could be dropped or not implemented. The new Government has committed only AU$3.2 billion (capped) to meet the 5% reduction target and has indicated that no further funding will be made available should this fall short of meeting this goal. Several analyses indicate that this so-called ‘Direct Action’ policy will fall far short of the 5% goal. Australia was already mocked for garnering the most Fossil of the Day awards during the summit. It has so far won half of the “illustrious accolades”, handed out on each day of negotiations by the Climate Action Network to the country who has done most to block progress at the UN climate negotiations. During one of the sessions, Australia’s team was accused of lacking respect after delegates turned up to critical discussions wearing shorts and teeshirts. They also “gorged on snacks” during negotiations on whether developed states should make reparations to vulnerable countries as the impacts of climate change become more severe, according to a spokesperson for CAN International. Their behaviour caused over 130 developing nations to abandon discussions on the controversial issue of climate compensation at 4am last night. … without the carbon and mining taxes, “and without the sovereign risk issues that this government has created”, Australia would once again be among “the most attractive places in the world to invest”.”The Olympic Dam mine expansion, Port Hedland Harbour expansion, and the Browse gas-field development can’t be guaranteed to go ahead — but they can almost certainly be guaranteed not to proceed while the carbon tax, mining tax and job-destroying industrial regulation remain in place.”Mr Abbott, who has threatened a double dissolution election if the Coalition’s repeal of the carbon tax is frustrated in the Senate, was “confident” Labor would learn the lessons of an election defeat. Abbott abolished the Australia Climate Commission shortly after he took office in September. The Commission was set up to advise on the science and economics of carbon pricing. 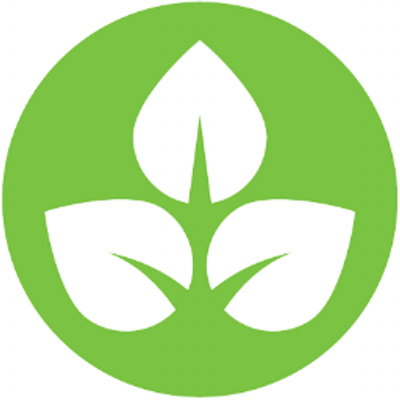 Greens and grassroots movements have taken action in response to the new government’s actions. The National Day of Climate Action (November 17) saw more than 60,000 people gather in major cities and towns nationwide to urge the government to take action on climate change. The event was organised by GetUp, Australia Youth Climate Coalition, and the Australian Conservation Foundation. “60,000 Australians from every corner of our sunburnt (and, in places, rain-soaked) country came together for climate action on Sunday, and as climate activists we’re now being described as ‘Abbott’s Worst Enemy’,” GetUp said. GetUp is now spearheading a drive to raise $22m to keep up the fight. If we are going to keep up the fight, we need the resources to keep going. If all of us who came chipped in just $1 a day we’d have $22 million to fund a campaign for climate action – matching what the mining industry has spent to stop climate action. We have to step up and fight even harder on climate change. We believe that means we need a movement of people who are connected, empowered, inspired and informed. GetUp’s infrastructure allows us to connect and empower. It is official: Australia’s new government denies global warming. 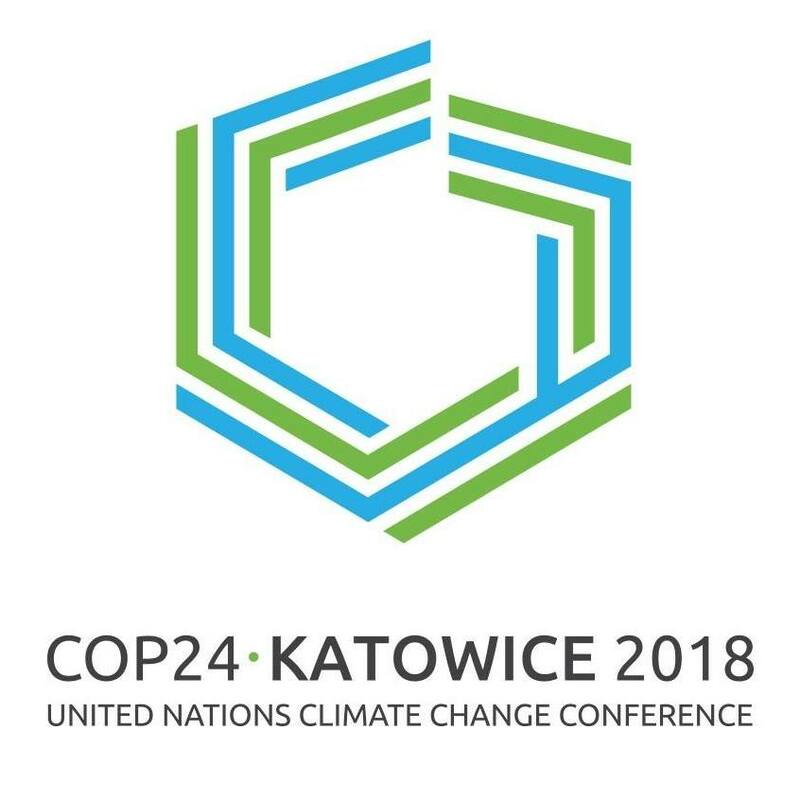 The Coalition Government will not send its environment minister to the 19th session of the Conference of the Parties (COP 19) to the United Nations Framework Convention on Climate Change (UNFCCC) which will kick off in Warsaw, Poland from 11-22 November 2013. Environment Minister Greg Hunt will stay at home to expedite the processes involved in repealing the carbon tax, a top election promise made by his big boss, Prime Minister Tony Abbott. However, a representative on his behalf has been dispatched to take part in the annual event. Hunt will be busy repealing the carbon tax while the conference is underway. The carbon tax was passed by the Australian legislature in 2011 under former Prime Minister Julia Gillard. Since Abbott won the federal election in September this year, scrapping the carbon tax has topped his priority agenda. Australia will be represented by Australia’s Climate Change Ambassador Justin Lee from the Department of Foreign Affairs. Foreign Minister Julie Bishop will also not attend. Climate observers said this will send a wrong signal of Australia walking away from its commitment on climate action and it may set a precedent for other countries to backslide. The COP19 expects to bring together around 40,000 attendees from government, academia, business and advocacy groups to advance international agreements that aim to mitigate climate change and adapt to its effects. In the past, a government minister represented Australia to the UNFCCC. Ian Campbell headed the delegation under John Howard’s first government in 1997. Labor Climate Change Ministers Penny Wong and Greg Combet, respectively, attended the conference from 2007, although in 2012, the Gillard government’s parliamentary secretary on climate change Mark Dreyfus attended the conference on behalf of Combet. Oppositions and environmental groups are wary of the bad signal Australia will be sending to the summit. Opposition climate spokesman Mark Butler said “Other countries are going to read into it at best with confusion and at worst that the Abbott government is walking away from global action on climate change, ” Australia’s leading media The Australian quoted him as saying. Greens MP Adam Bandt also said it was “understandable” that Minister Hunt was “embarrassed” by his government’s decision to scrap the carbon tax, but it was no excuse to skip the global summit. While no major decisions will be made at Warsaw, the meeting will build momentum in the lead-up to major negotiations for a global agreement on cutting greenhouse gases in Paris in 2015. PHP Billiton, among other businesses under the Australian Business Council, supports the dumping of carbon tax. 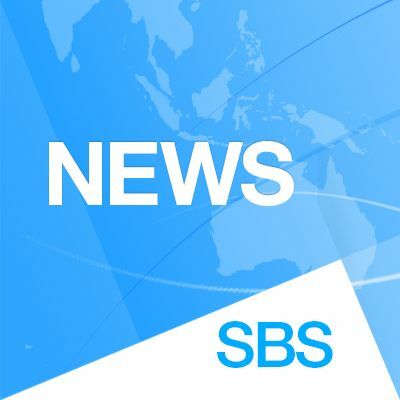 While backing the Federal Government’s plan, the mining giant, however, urged scrapping the price of carbon should be done as soon as possible. It warned of a possible complications if it is not done by mid-2014. The mining firm said it still believes in having a price on carbon, but any policy should be trade friendly and revenue neutral. BHP Billiton noted that repealing the carbon tax will get rid of the current problem of Australian firms paying a higher cost on pollution than their international competitors. The company shares concerns already expressed by others businesses about the uncertainty that will be created should the legislation not pass by mid-next year. Amid plans to scrap the carbon tax, a climate action is brewing nationwide. Various environmental groups are set to mobilise rallies in every major city nationwide on November 17. It is a collaboration of GetUp, the Australian Conservation Foundation, the Australian Youth Climate Coalition, Environment Victoria, Fire Brigade Employees Union, Greenpeace, 350.org, Oxfam Australia and many other groups. ACF said they intend to make this event as big as they can. The ACF wants to keep Australia’s carbon tax. It said that while the tide of history is flowing towards pricing pollution, Australia is turning back the clock. Along with the climate action rally, the Foundation also supports an online petition to the prime minister, environment minister, and environment decision makers from all parties. GetUp who is spearheading the climate action rally said 2011 was a turning point for Australia. Climate scientists warned it was the beginning of the critical decade for climate change and thus required stronger action to avoid the catastrophic effects of rising emissions. Australians responded to this warming by enacting the carbon tax.